The holidays are just around the corner, and one holiday trend that is bigger and better than ever is the homemade gift. While homemade gifts take more time and way more effort than your typical store-bought merchandise, there are some perks. It is often cheaper, it has a greater sentimentality, and it is kind of fun to see how everything turns out. 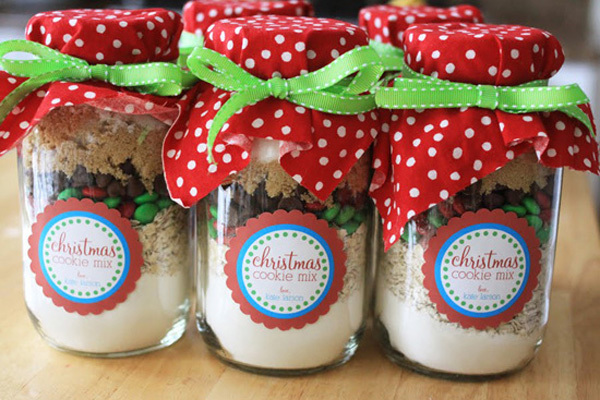 Small homemade gifts are perfect for your close friends, neighbors, co-workers and classmates because you can usually mass produce these gifts in a small amount of time. However, if you do decide to DIY it this season, we recommend going the extra mile, just to make your creations look a little more Martha Stewart and a little less Homer Simpson. If you’re DIY-ing it this season, you’re gonna need some stickers. Stickers are the accessories of the craft world. You can create an entire project with custom stickers, or you can simply use them to add that personal touch. Either way, you’re going to need some stickers that are the right size and that color coordinate. Check out StickerYou for this. There are tons of customizable templates, which you can use for your holiday stickers, or you can design and upload your own. They come in any size, any colour and any quantity you need. Typically stickers are used in the form of labeling DIY gifts. Whether you’re making your own jam, packaging your own homemade shortbread cookies, concocting your own organic hand scrub or brewing your own closet wine, you’re gonna need some classy, high-quality sticker labels (especially if you plan on giving your creations away). Stickers may also be used for tagging wrapped gifts. In which case you are going to need some to/from stickers personalized with names. Again, check out some of the templates on the StickerYou website for inspiration or to create your own. It takes all of 2 minutes and all your gifts will be labeled with beautiful holiday-themed stickers made especially for each person on your Christmas list.